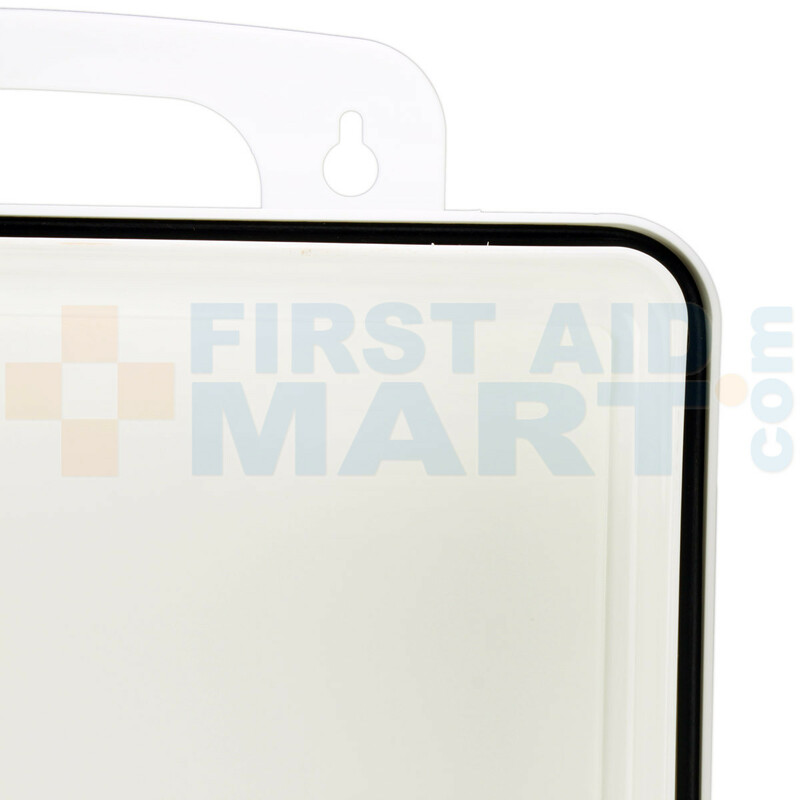 10 to 25 Person, ANSI Class A, Urgent First Aid Kit, 74 Pieces in a lightweight, durable, portable and wall mountable gasketed plastic case. 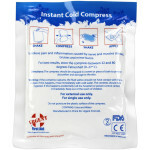 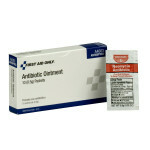 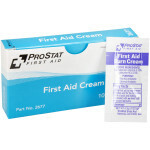 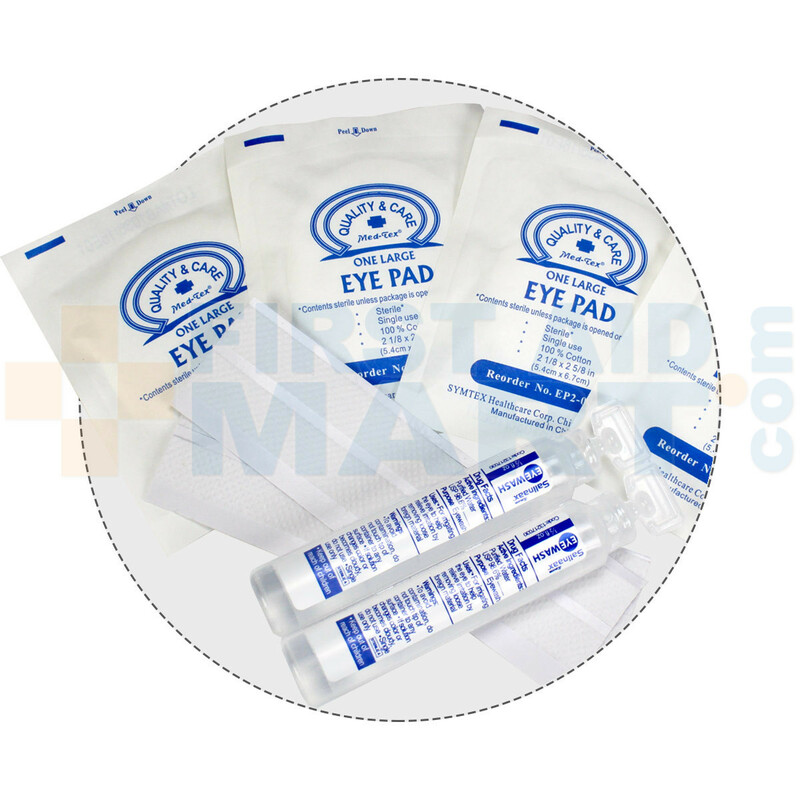 At First Aid Mart we offer the Urgent First Aid (made in USA!) solution for your workplace OSHA & ANSI First Aid compliance needs: The Urgent First Aid kit is our best value plastic ANSI Class A first aid kit. 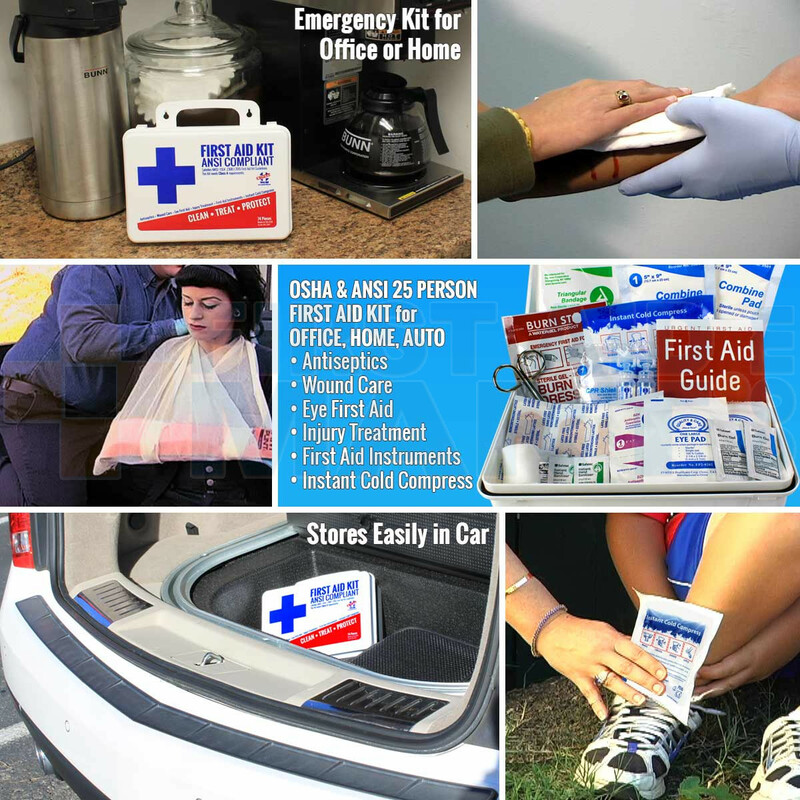 It meets or exceeds the most recent OSHA and ANSI 2015 Standard fill requirements, with contents designed to deal with most common types of workplace injuries so you know you and your employees will be covered with the new ANSI 2015 requirements. 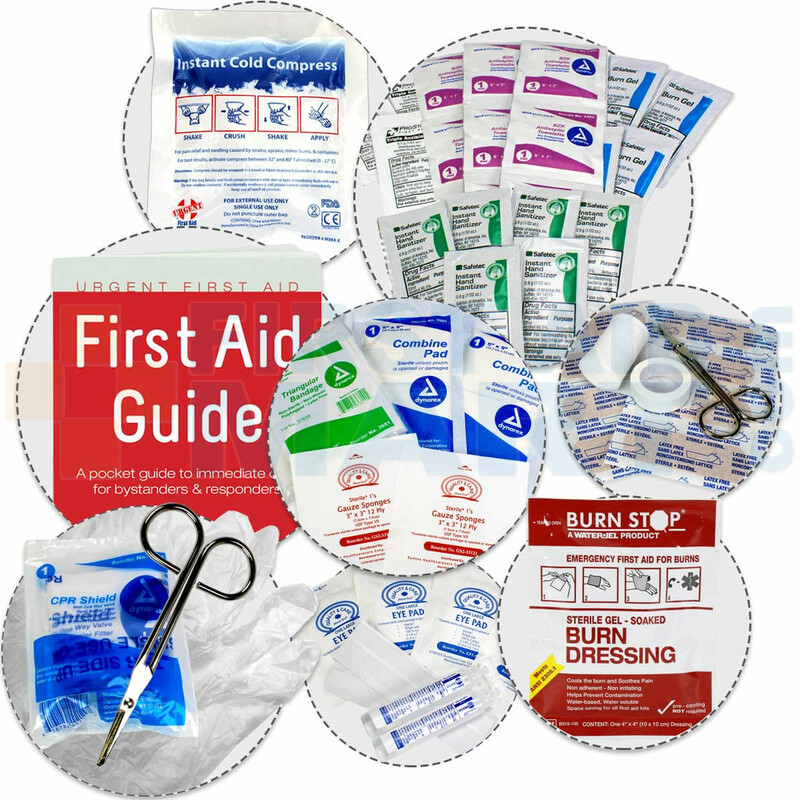 Under the new ANSI Standard Minimum Requirements for Workplace First Aid Kits and Supplies guidelines, general requirements include the following items: Adhesive bandages, adhesive tape, antibiotic application, antiseptic, a breathing barrier, burn dressing (gel soaked), burn treatment, cold packs, eye covering, eye/skin wash, first aid guide, hand sanitizer, medical exam gloves, roller bandages, scissors, sterile pads, trauma pads, and triangular bandages. 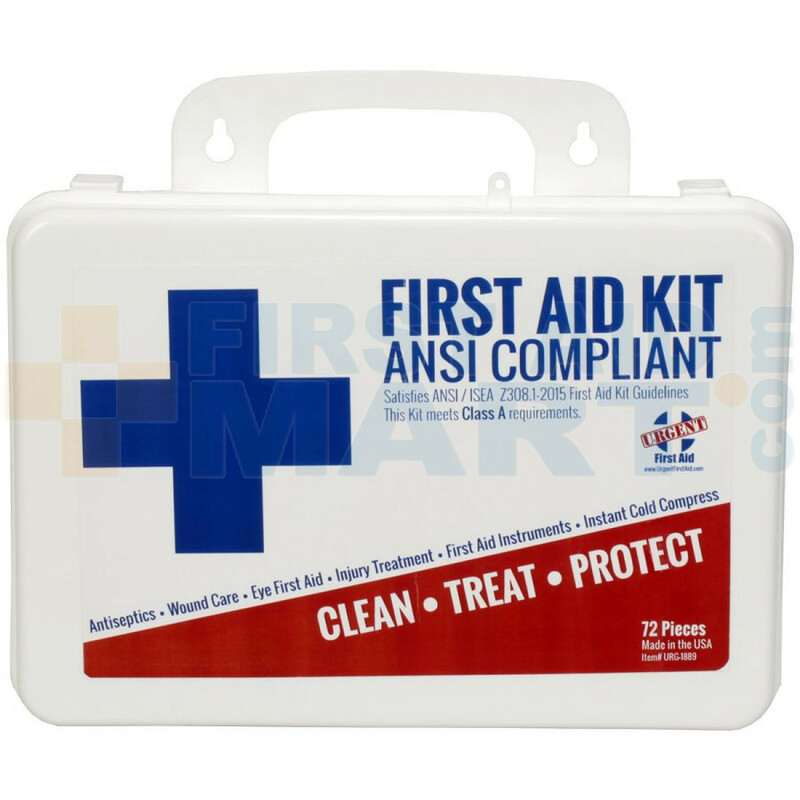 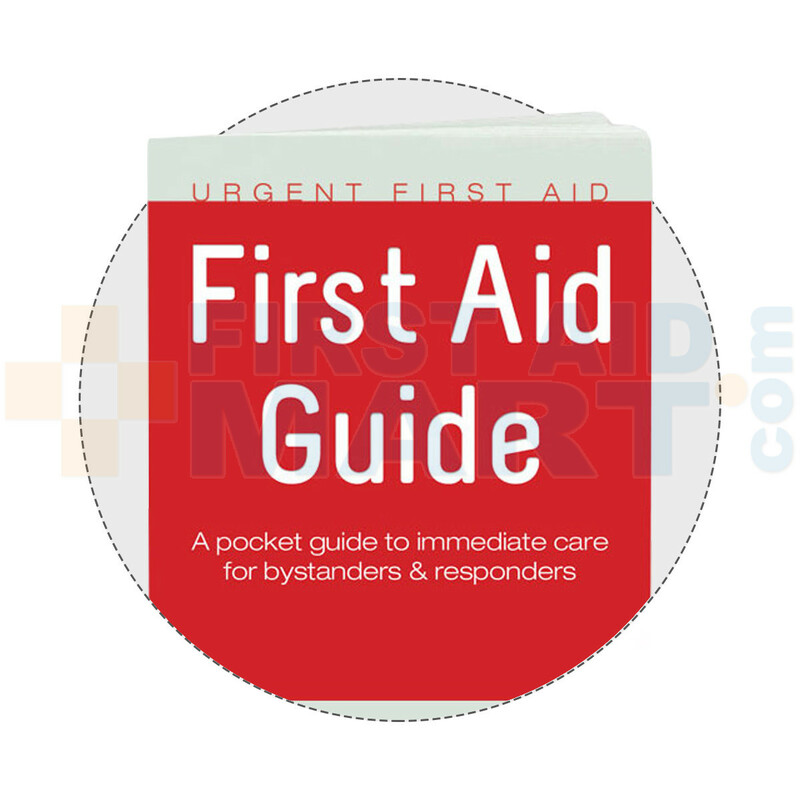 in addition the location of the kit must be easily accessible.This ANSI Class A first aid kit is great for small offices and general workplaces of up to 10 people. 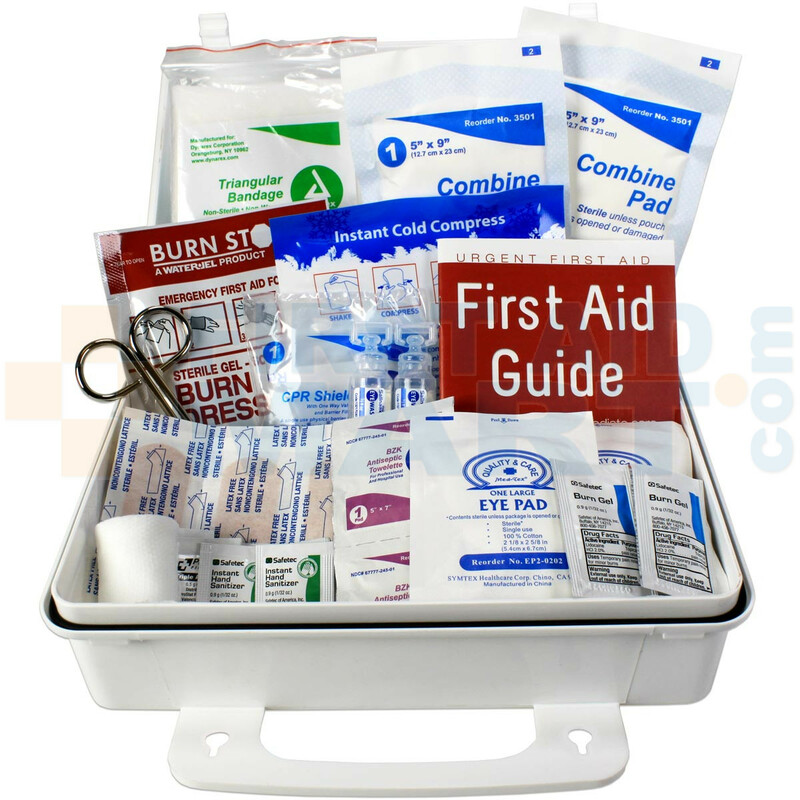 From a simple office to a manufacturing or shipping facility,it is required to be prepared to treat minor injuries. 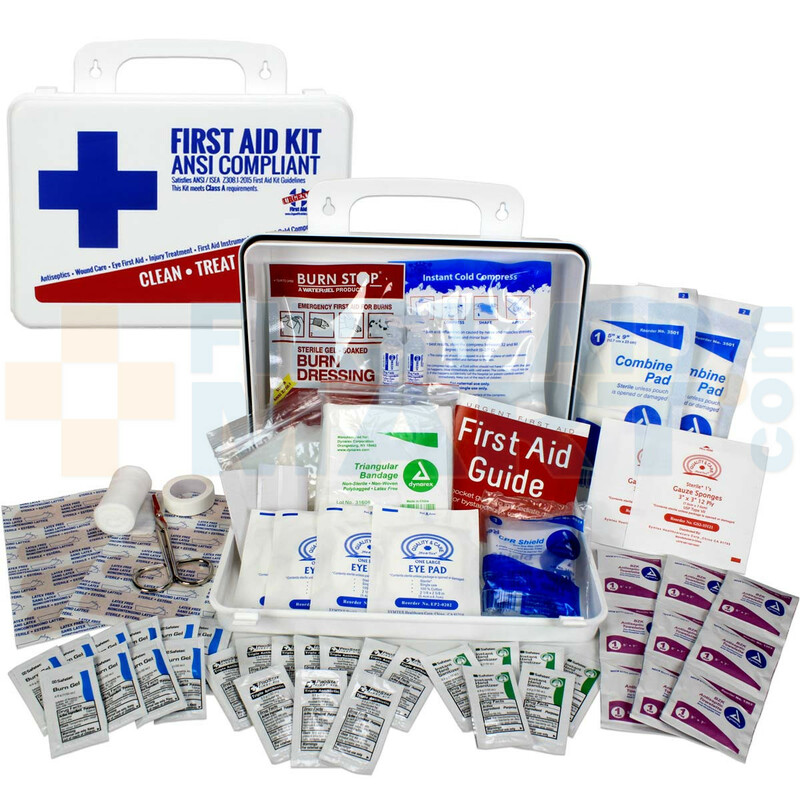 Even if you have a kit purchase prior to June 2016, it likely no longer includes content needed for the types of incidents that occur in the workplace. 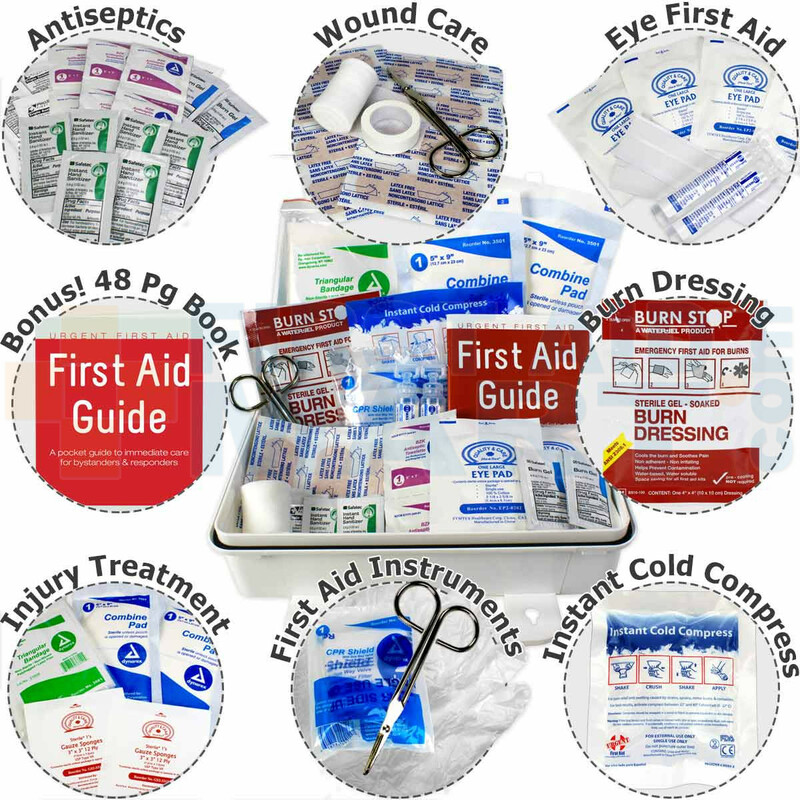 The International Safety Equipment Association 2015 minimum requirements for workplace first aid kits and supplies (American National Standard ANSI/ISEA Z308.1-2015) is effective now. The assortment and quantity of supplies included in a first aid kit were chosen based upon a review of increased workplace incidents requiring first aid treatment, similar international standards and current practices in treating injuries.This ANSI Class A first aid kit is great for small offi25 people, it is easily wall mounted, and can also be quickly removed to be taken to the accident scene. 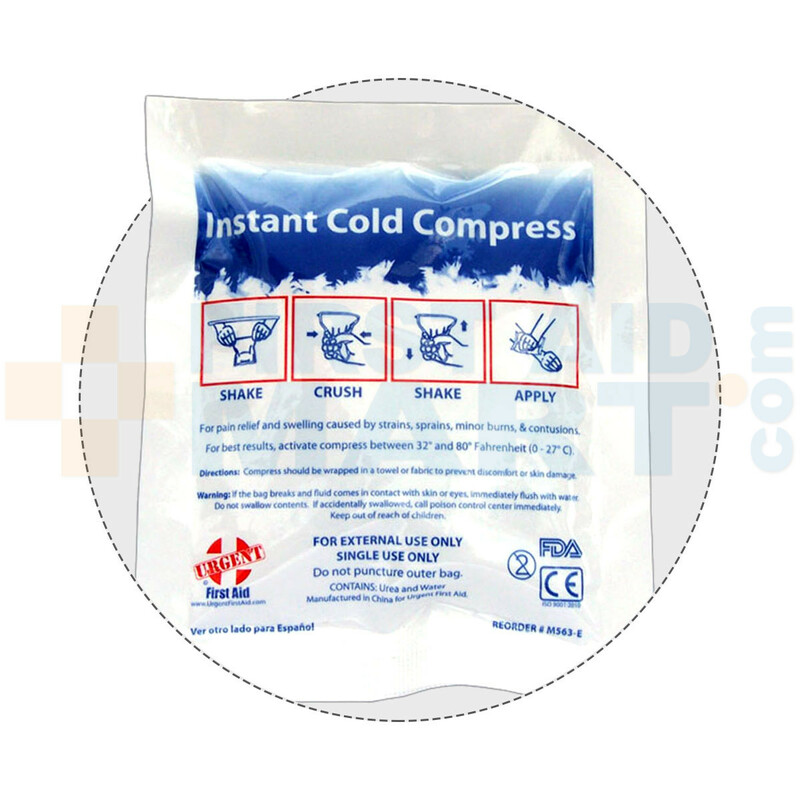 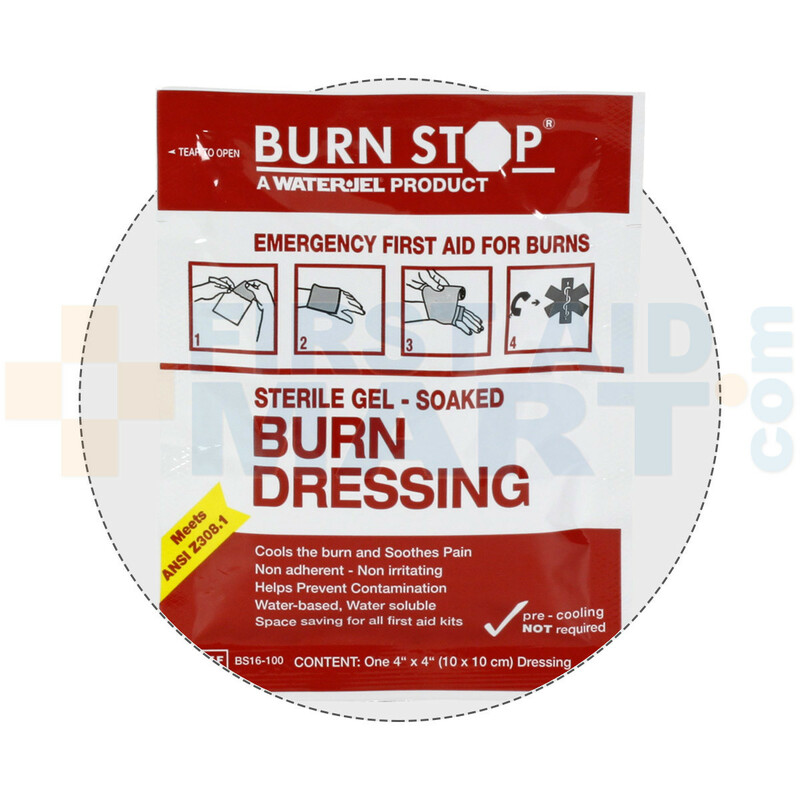 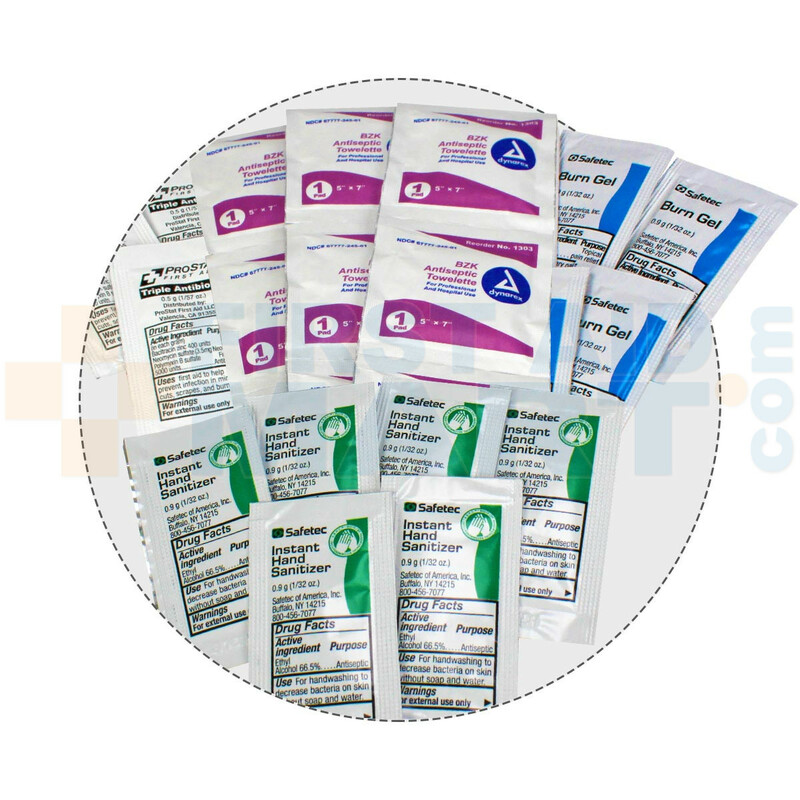 (1) URG-2016: instant Ice Pack 5" X 6"
(1) URG-3469: Burn Dressing 4" X 4"
(2) URG-2096: Gauze Pad 3"X3"
(1) URG-2458: Adhesive Tape 1/2"X 2.5yd. 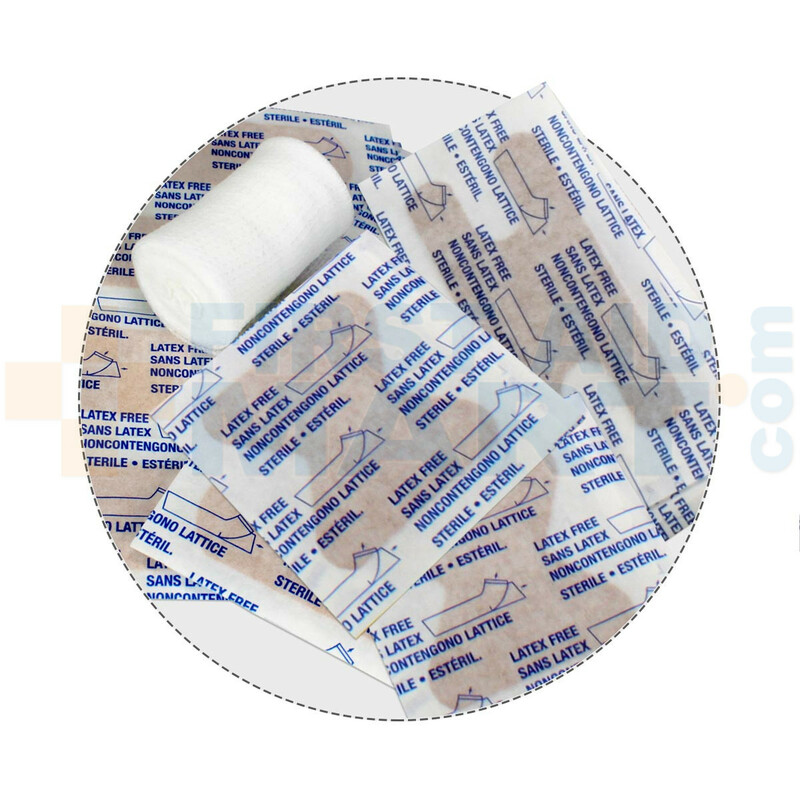 (1) URG-2504: Gauze Clean Wrap 2" X 4.1yd. 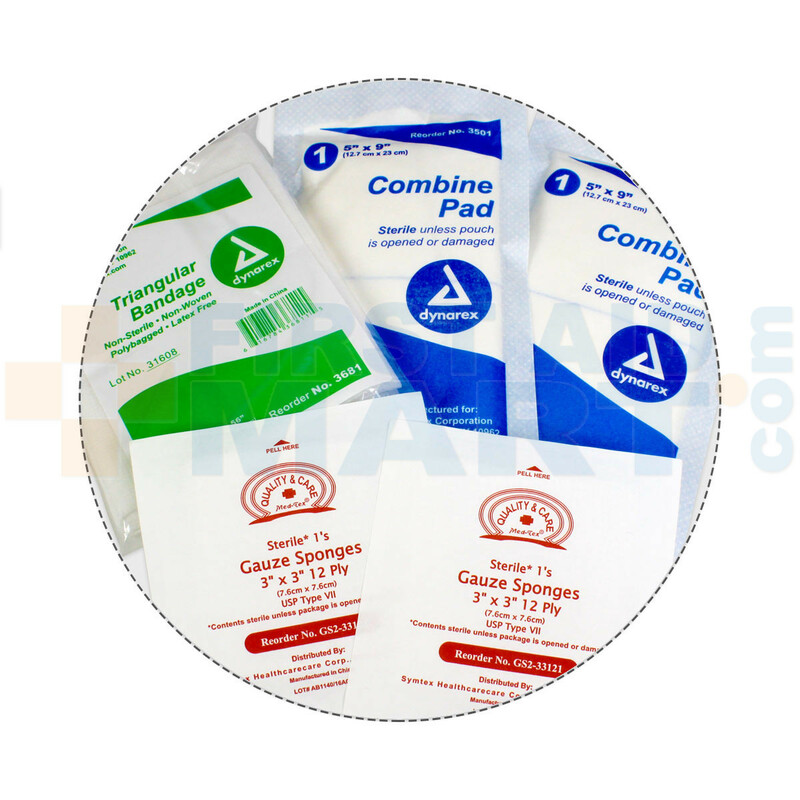 (2) URG-2541: ABD Combine Pad 5" X 9"
Kit Dimensions: 7.25" x 3.125" x 10"
This product meets or exceeds ANSI I, II and III criteria. 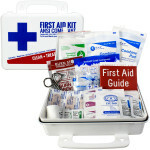 Bulk First Aid Kit, Plastic, 74 Pieces, ANSI A, 25 Person, URG-3681.